"CBSL were a great group to work with. They discussed our needs (we have a dog) and provided some samples in the mail. A crew of three did an excellent job. During the installation, Kaitlyn called to ensure everything was going as planned. Our last payment was not required until they knew we were 100% satisfied"
Dear Melissa: I wanted to write to you and your company to tell you how happy I am with my new lawn. More importantly, my dogs just love it. It was the best landscaping decision I have made regarding my lawn and dogs that “own” it. You and your crew were so professional. The installation went without any incidents and your installers were very helpful replanting some of my bushes, which they did not have to do. I was amazed by the whole process and the steps that it took to lay out the new lawn. It looks fabulous and I am happy with the product. Again, thank you so much. I would highly recommend your company and the synthetic grass. We have 3 small dogs. We were unable to keep grass alive in out tiny town-home back yard. So, we decided to invest in a synthetic lawn. We approached SynLawn Chesapeake Bay for a quote and to see if they would come out to the Northwest corner of Virginia. The replied immediately to my request and sent 3 amazing workers to complete the project by installing SynAugustine 347 turf. Those guys worked for 6.5 hours straight in a small back yard and the results were AMAZING!!! We are thrilled to have something other than a brown back yard and it looks BEAUTIFUL. No regrets! Highly recommend this company. Customer service, as well as the product they sell, is top notch!!! I must say first and foremost that our Synlawn product has lived up to its credentials. The material we use has been under extreme foot traffic duress for slightly over 2 years now. The amount of stress that it sees on a given day ranges from sprint training, high speed friction in bodily change of direction, all the way through extreme velocity lacrosse ball shots skipping across it. It shows zero wear on the surface. From youth birthday parties, to dodgeball and any type of high stress you can imagine, it has stood firm in the way of presentation. We have only had it brushed once and I honestly don't even see the need to have that done. It is not a matted look whatsoever. It stays true to the form it was received in. We appreciate the amount of effort Synlawn has put into their product development as it certainly pays off for the consumer to not have to worry about the possibility of product wear. We recommend their product for high intensity training with the highest regard. Hi Kaitlyn!!!!! Just wanted to follow up to say ... WOWSER!!!!! I love my new turf!!!!! It looks FABULOUS!!!!!! And, it feels GREAT ... the sample patch you provided did not do it justice ... it's so soft and beautiful (and I really know ... I went back there and laid on it and rolled around on it ... lol!!!!)!!!!! And, it smells AWESOME and FRESH back there now ... so,glad I invested in the Envirofill!!!!! I wish I could also afford to do my front yard!!!! Lol!!!! And my sons 2 big German Shepherds love it ... I can't wait to hang out with them on it later today, after I get home from work ... playtime ... lol!!!!!!! I also have to say that Hector and his team were FANTASTIC!!!!!! Not only did they work hard .... but, they were super professional and polite, the entire time!!!!! It was a true pleasure doing business with you!!!! As you know, I was on a budget ... so, was hesitant about the cost. You and Greg answered all my questions and you both explained everything in great detail ... but, it was not until after seeing all that was involved ... how much work it really was, and how good your team was, that I knew my money was well spent!!!!! I am a super satisfied client!!!!!! THANK YOU, thank you so very much ... and please thank your team for me as well ... including Greg and Robin!!!!! Everyone I came into contact with was SUPERBLY knowledgeable and professional!!!! A true testament to your EXCELLENT business acumen!!!!!!! Melissa, It is FANTASTIC! Just what we envisioned! THANK YOU to you and your team. They were great guys to work with and you were as well. Hope to send you referrals soon….already have one friend who wants one. "I recently had my Synthetic Lawn installed by CBSL. From the moment Fransisco came to talk to me about my lawn needs , I knew this was the right team to work with.. There was a professionalism that stood out through the entire process. Everyone I talked to over email or phone was kind , knowledgeable and quick to answer my questions. Greg and his crew of installers were kind, efficient and respectful to my wishes for my current landscape/garden boxes. I am so excited about my new lawn. It looks great, the kids are having so much fun finally getting to play in a yard that isn't getting them muddy. I'm looking forward to years of fun in the back yard! Sincerely Marla D and family. (pictures attached)"
We have a property in Washington, DC (townhome) which does not have any backyard access. Any landscaping work had to be hauled to and away through the front door which does not make it easy for any landscaping companies. We contracted SYNLAWN to install an artificial turf in our backyard using SYNtipede 214 and it turned out AMAZING! They incorporated a putting green, made sure that existing landscape was perfectly incorporated with their design. The staff were all very helpful. They also managed to limit the amount of dirt that was hauled out from the backyard. I worked with Melissa Lord who was able to assist me with the proper material that I needed for our purposes. She was very friendly, helpful, and always quick to respond to my needs. I highly recommend SYNLAWN. We truly could not be happier with SYNLawn Chesapeake Bay or with the artificial turf they installed in our backyard. We have three Golden Retrievers and have struggled for years with keeping grass growing - mostly a losing battle. We even paid a crazy amount of money three years ago to have the entire lawn resodded and had an irrigation system installed thinking it would help us keep the lawn healthy. 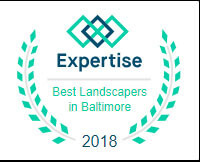 Unfortunately, the sod was no match for three big dogs playing on it so we finally made the decision to contact SYNLawn Chesapeake Bay - and we are so glad we did! They were wonderful to work with from start to finish and beyond! Every person we interacted with, from our initial call to Kaitlyn through the sales rep to the installers, was friendly, helpful and professional. We had lots of questions and they answered them all and put any concerns we had to rest. We had the turf installed almost 4 months ago and we- and our dogs - have been loving it ever since! It is such a relief to be able to allow the dogs to play to their hearts content without worrying they are destroying the yard, and without having them come in covered in mud! An added bonus - cleaning up after them is much easier with the turf! In addition, we get complimented by everyone who has seen the turf on how natural and how beautiful it looks. It is such a pleasure to look out my kitchen window and see a nice green lawn, instead of the muddy mess that was the norm before we had the turf installed. SynLawn Chesapeake Bay did a great job on the installation - working very long days with temperatures in the upper 90's! We have had a couple of issues since the installation caused by factors out of their control (one was caused by one of our dogs!) and both times SYNLawn Chesapeake Bay has stood behind their product and their installation, and has come out immediately to remedy the situation with no extra cost to us. It is so rare to find that kind of customer service, especially after the purchase has been made! We really appreciate knowing they will be there for us for the life of the turf. We are so happy we made the decision to use SYNLawn Chesapeake Bay both for their product and for their service. Thank you SYNLawn Chesapeake Bay! Kaitlyn is a true professional. She has provided tremendous value to me during my project. Her customer service is excellent. She's a pleasure to deal with. She exemplifies a total solution provider. Don't make a mistake. Go with an expert. Eliminate future headaches. SYNLawnCB. "My wife and I, as well as our 2 pups, love our new yard! We are so happy we made the decision to get turf, and that we went with Synlawn! It looks and feels absolutely amazing and is worth every penny!" "I love my new synthetic lawn. Before it was installed, this area was just a mud pit. I had tried several times to get something to grow there by putting down sod and grass seed but had no success. Now my dog Maddie can enjoy this area of the yard without getting all muddy. It also looks beautiful and I have received numerous great comments on it. Thanks again!" "SYNLawn Chesapeake Bay did an outstanding job from start to finish! From the first time I spoke with Kaitlyn to the completion of the job with Francisco and his crew, I was impressed with their professionalism and product knowledge. The install team went above and beyond to ensure that my lawn was done right-from the grading and drainage to the overall look and cleanup. They even fixed the gate on my fence to ensure that it was the right height for the new lawn. Our family loves it and more importantly, our pets love it - I highly recommend CBSL to anyone looking for a synthetic lawn solution. Thank you!" Very pleased with the product and the company. We did some research and went with Synlawn because of its quality and that it does not require any infill (cleaner and safer for kids) for our residential install. We purchased the product directly, and at the recommendation of a friend and to save a little money, hired a local contractor to install (That was a bad idea). After the contractor made several mistakes and was weeks delayed, we contacted Synlawn (Kaitlyn) back to see if they could assist in installing. Kaityln was very helpful, had their contractor come out the following day, and provided us with a new quote. They worked us into their schedule and not only fixed several of the errors previously made, but finished the job up on time and with a great result. Would highly recommend the product and this company to others considering artificial grass. "We have two dogs and a small city backyard which made growing grass impossible. Our yard has clay soil and it would get extremely dusty if the ground was dry, or very muddy if it rained. My dogs got covered in a film of dust when they went out to play and then would track it in the house. We'd tried everything from laying sod, to planting ground cover to mulching the whole yard- nothing worked. Mulching was the cheapest solution, but after a few weeks, it would look like a mess and it certainly didn't keep the dust and dirt at bay. Enter SynLawn Chesapeake Bay. I have been wanting artificial grass for a long time, but didn't think we could afford it. Kaitlyn provided a reasonable quote and various options of grass that would work for us. An installer came out and brought samples so we could decide which one works. When we asked about the grass specifically for pets, Kaitlyn was very honest and told us it was mostly for heavy duty applications like dog parks and recommended a different one for home use which was less expensive- usually companies try to up-sell you, so I very much appreciated this. I also love that SynLawn and Kaitlyn support rescue pups and even give you a discount if you have rescues! Once we made our decision, we were on the schedule within a few weeks and on installation day the crew arrived promptly in the morning and went over the details of what they'd be doing with me. They were very professional and courteous and did a fantastic job. Our new lawn was installed in just one day and by that afternoon we were able to enjoy it. Our dogs immediately started running around and playing on their new lawn. It's soft and super nice to sit on for both us and the dogs. Amazingly, it makes our small backyard appear bigger and it makes the space so much more usable. I am so happy i won't have to deal with dust getting all over the place or muddy paws when it rains! It is a world of a difference and we are very happy with how it turned out! Thank you Kaitlyn and SynLawn!"